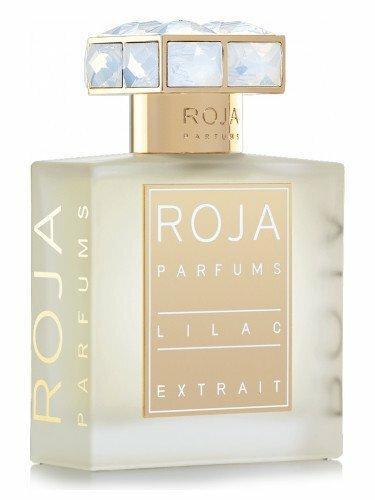 Lilac is a popular perfume by Roja Parfums for women and men and was released in 2013. The scent is floral-fresh. The production was apparently discontinued. The scent was re-released in 2017 as part of the Heritage Collection. Lilac is a typical Roja Dove fragrance, marrying rich aromas with a retro sofistication. It's one of those powdery resinous florals that goes from the floral impression to the woody, balsamic base. It starts with something that makes me think of lilies, maybe due to a waxy and dry floral aroma, which i suspect that might be the jasmine used. Then, i notice a retro violet with some spicy kind of powdery combination of rose, cinnamon and clove. You also note, from the very first moments, a cherry-pie like aroma of heliotropin, contributing to the retro-glam aura, which is a kind of a link to the woody and sweet resinous base. The only thing that i found odd is that this kind of composition is usually longlasting and strong on me, but Lilac opens strong and fades to something close to skin after 3 hours.